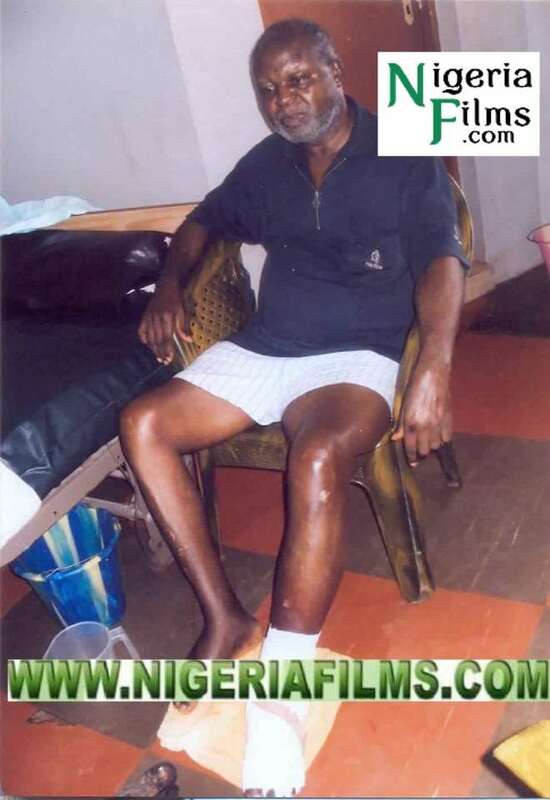 Remember a story Nollywoodgists.com reported yesterday about veteran Nollywood actor, Pete Eneh that one of his legs was amputated due to an infection that has eaten deep into his leg? 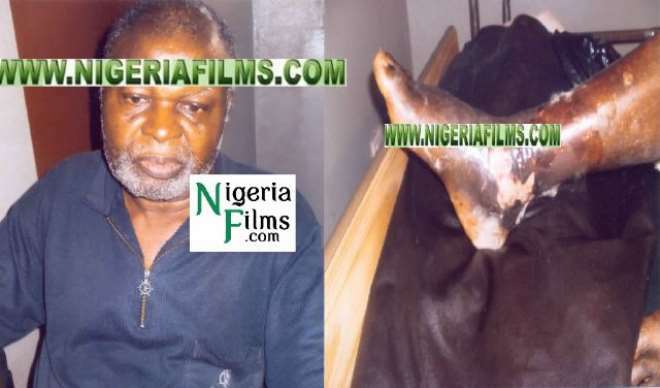 Nollywoodgists.com can now show you some pictures of the leg, before amputation, which was exclusively retrieved by us. 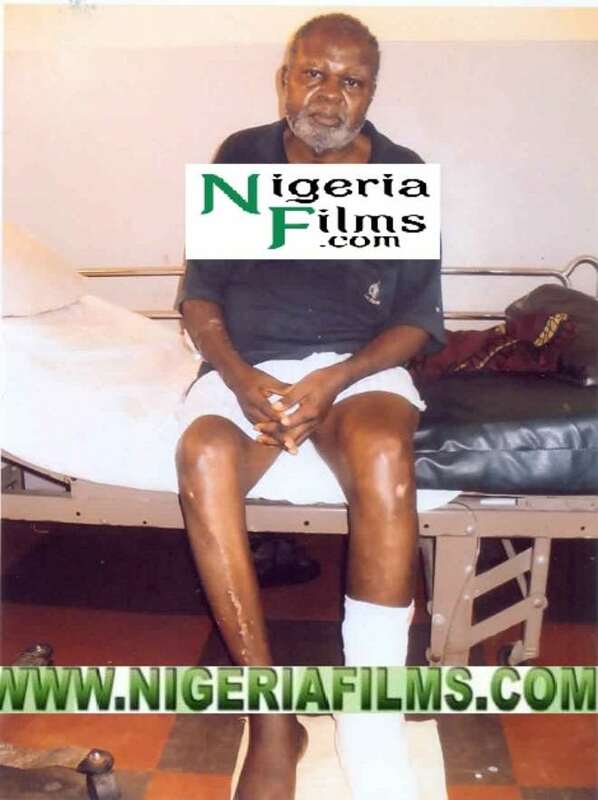 As you read this, the actor has already got the leg amputated and he is said to be recovering. These pictures were taken before the amputation. 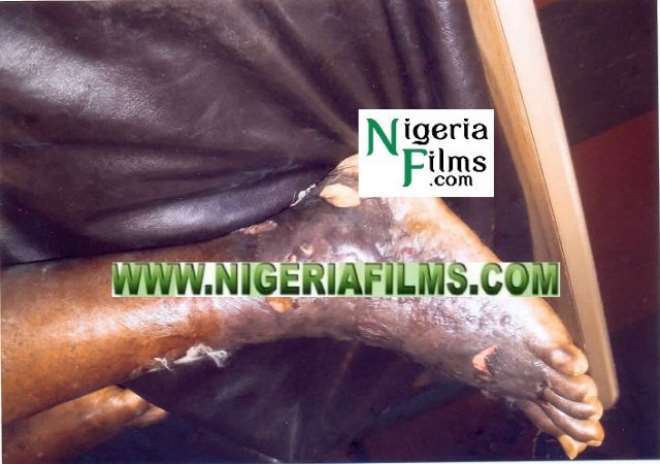 Doctors advised the decision (amputation) be taken in order to save his life because the infection was almost spreading to other parts of his body. 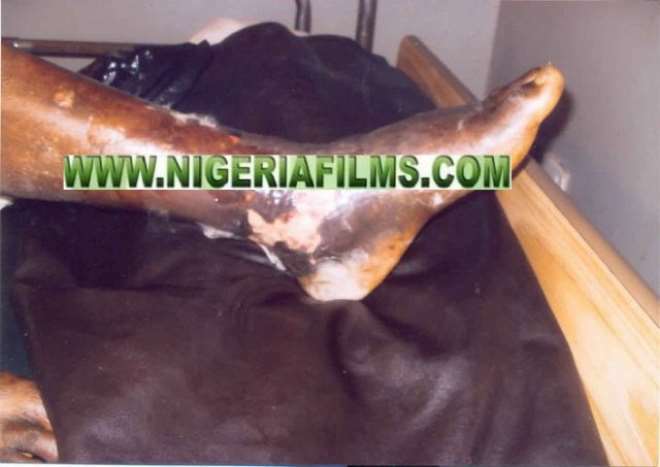 The leg deteriorated when he couldn't get proper medical attention. 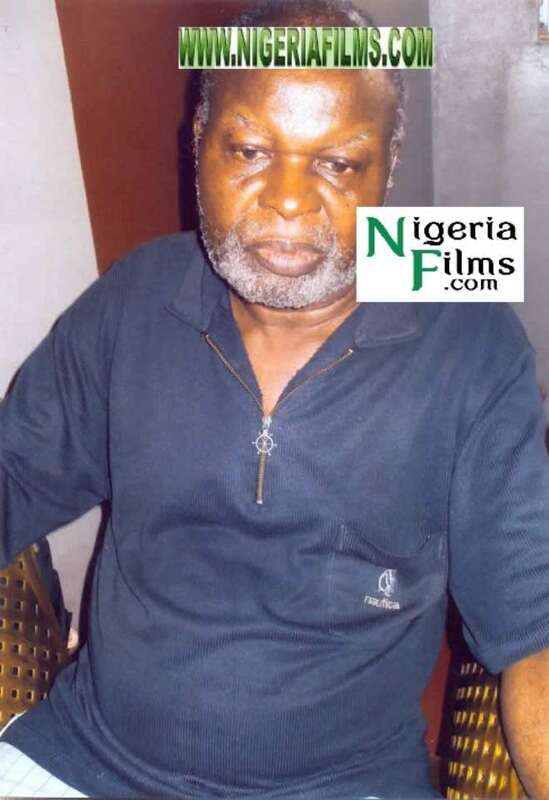 It is almost becoming a norm now for veterans in the film industry in Nigeria to be neglected when in need of help. 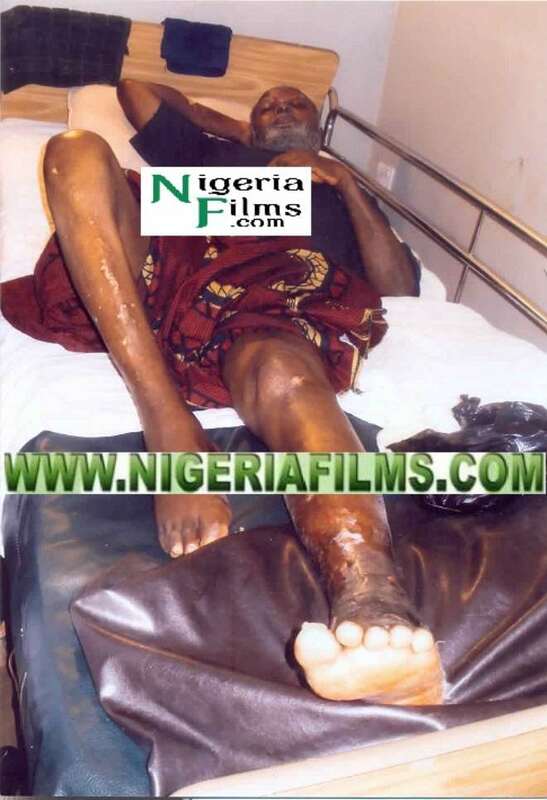 Late James Iroha aka Gringory, Enebeli Elebuwa, Ngozi Nwosu amongst others have battled for survival.